Prices exclude pre-hunt / post-hunt accommodation, insurance, taxidermy, personal items & gratuities. Hunting season – Annually from March to November. Full Trophy fees payable for killed or wounded and lost animals. Premium Class – Thatched, luxury air-conditioned, on-suite chalets. Services of trained camp staff including: supervisors, cooks, trackers and skinners. 4 wheel drive vehicles in the hunting area. Field preparation and salting of trophies. Hotel accommodation before, during or after the safari. Dip and pack Taxidermy fees or export of trophies. Permit fees and additional cost. ARMS AND AMMUNITION – Clients can bring their own firearms along however rifles can be hired at $ 30 per rifle per day. Ammunition is for sale at the Safari area when hiring rifles from us. Rifles ranging between 30.06 Springfield and 458 Win Mag are available. GUARANTEE – The safari operator will make all Trophies available as agreed upon in the Safari agreement. 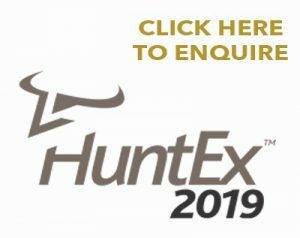 The professional hunter will endeavour to determine the size of a trophy as accurate as possible but the final decision to bag a trophy will vest solely by the client. INSURANCE – Contact your local Travel Agent for an inexpensive insurance policy to cover cancellation charges, early departure, personal valuables and medical expenses in case of illness or loss. BOOKING REQUIREMENTS – Payment of a deposit equal to the daily rates will confirm the booking. CANCELLATIONS CHARGES – Cancellation of the safari will result in the loss of the deposit. The safari can however be moved to the following year at the rate applicable to that year. PAYMENT – Trophy fees, and all other expenses incurred during the safari are payable at the end of the safari in cash or via electronic transfer no later than 21 days before the start of the safari. LIABILITY AND INDEMNITY – Whilst every effort will be taken to ensure a client’s safety, Take Aim Safaris, its owners, directors, agents or employees will not be responsible for any incident before, during or after the safari. We shall not in any way take any responsibility for any injury, illness, loss, including the loss of life or damage to property. This includes consequential loss or damage suffers by any means.